Do you want to get that competitive edge as a finance or accounting professional and race ahead in your career? Want to explore international job opportunities as an accounting professional? 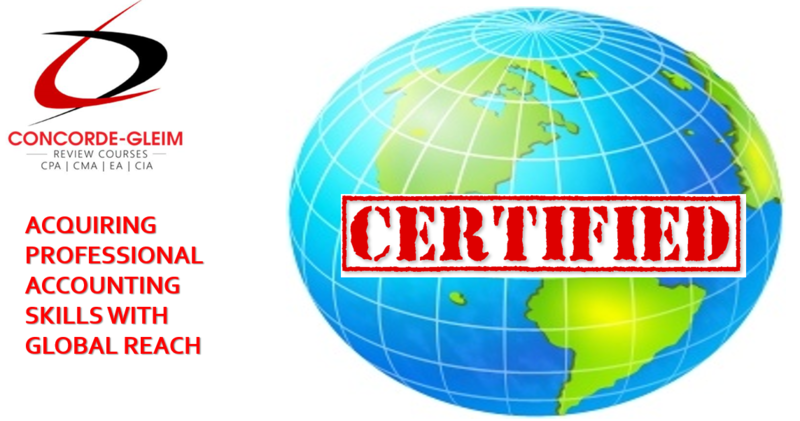 Your search for the relevant international accounting certification ends here. This article helps you understand the best professional accounting certificate courses you can complete from India and kickstart a great career ahead or open up better avenues in your existing job. Compare the requirements, eligibility, time taken and job opportunities for the top accounting certifications like CPA, CMA & ACCA in this article. What is the best professional accounting course for commerce students? – A question that has been muddling the minds of thousands of BCom and BAF graduates, whose results were announced in recent times. More precisely, this is a query for commerce graduates / freshers who intend to kickstart their careers in accounting. First of all, are there any such specific accounting certification courses. Yes, they are. So, when can commerce graduates start preparing for them? Do any of these professional accounting courses open up better job opportunities? Can a student start off with these courses parallely while pursuing BCom, BAF, or similar commerce graduation degrees? A lot of these queries will be answered in the due course of this article, where we intend to discuss globally recognized professional accounting certificate courses which are available in India. Kindly note that all of these are international accounting certifications that are likely to provide a huge edge to your career. The CPA qualification is offered by the American Institute of Certified Public Accountants (AICPA). This accounting certification makes you eligible for job opportunities not only in the United States of America (USA), but across most of the countries in the world. If you desire to practise auditing in US, getting a CPA qualification is a must. This accounting course covers several concepts related to GAAP (Generally Accepted Accounting Principles) used in the USA (US-GAAP). For aspiring Indians, CPA coaching is available in India as well through established players like Concorde Academics in association with GLEIM, the Florida-based publisher (from USA) of the most respected and popular study material. You can do the CPA accounting course if you are pursuing MCom or an equivalent degree. Since it involves just 1 level and 4 exams, you can get certified in CPA inside 1 year. Audit, Tax, Finance, Banking, Consultancy. This professional accounting certification is offered by various institutes / universities across the globe. It is designed specifically for accounting and finance professionals whose goal is to achieve higher ranks in their respective fields. A CMA is focused on analysis of the financial data as well as strategy formulation. You can apply for this accounting certificate course while doing your graduation or post graduation degrees like BCom, BBA, BAF, CA, CS, ICWA, MBA, MCom, and so on. Average duration to complete the CMA accounting course is around 1 year. You can even complete the same in 6 months, or take as many as 3 years to do the same. You have complete flexibility and can prepare for this without disturbing your other commitments. Business and Commercial industry, inclusive of manufacturing, construction, oil & gas, etc. ACCA is an international qualification offered by the global accounting body, Association of Chartered Certified Accountants. It is designed to offer comprehensive information on IFRS (International Financial Reporting Standards) that are used across the globe, and precisely trains you to handle accounting as well as auditing in several countries of the world. A] Students having successfully completed their 12th (HSC) with commerce as their chosen stream, with 65% score in English and Maths (or Accounts) and above 50% in 3 other subjects. B] Students who are currently pursuing graduation degree in commerce stream (related to finance and accounting) like BBA, BCom, BAF, etc. C] An Indian CA having the degree post May 2003, can choose the fast track route towards ACCA, by getting exemptions in as many as 9 exams, out of 14. D] If you don’t have the qualifications as asked for by ACCA, you need to start at the Foundations in Accountancy Level, and then, complete the main ACCA exams. Depending on your capacity to take exams every quarter, one can complete this course in a time frame of 2.5 to 3 years. For aspiring Indians, coaching for these professional accounting courses and similar other certifications is available in India as well through established players like Concorde Academics in association with GLEIM, which is the Florida-based publisher and provider of the most popular study material for such accounting courses. Hope the above information on some of the best professional accounting certificate courses proves useful to you. You will be able to do a valid comparison of ACCA vs CMA vs CPA. Depending on your job and career aspirations, you can opt for the relevant accounting certification course out of these 3. For example, if you intend to work in US MNCs, the CPA US qualification could be apt. Similarly, you can go for CMA certification. These two qualifications can be obtained in quick time and through quality guidance from a renowned institute like Concorde Academics. However, if you are willing to put in hard work for an extended period of time, then, ACCA is the one for you, provided you are willing to put in the efforts for a long term to become ACCA qualified. Another criteria of your selection could be the cost. If you don’t want to spend a lot, CPA and CMA could be your ideal choices, as against ACCA. What do you think about these accounting programs? Feel free to share your opinion in the comments section below.